Deciding to branch out on your own in business and becoming self-employed can be a daunting, but equally exciting experience. There’s a few things you need to consider. Getting your finances in order, employing a good accountant, getting your marketing and branding correct – and finding the right base to work from. If your business relies solely on a laptop, your front room or kitchen table may be adequate to get started. Hot desking is an option that has also become increasingly popular, and means you can keep your work life and home life completely separate. However, when your business involves products, equipment or quantities of marketing materials, working from home might not be an option. When boxes and equipment start to fill your hallways, and you feel that you never find a place to switch off from work – then it’s time to consider business premises that don’t cost the earth. 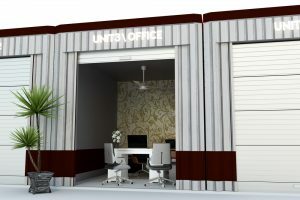 Running your business from a storage unit is a really great alternative to separate offices. No business rates, no council tax and no overheads – just one simple monthly fee, and all the floor space you need to keep yourself organised. Not sure it would work for you? Here’s just some of the businesses that can be run from a storage unit. If you have a business which involves fixing, mending and helping others with jobs around the house, the chances are you have a lot of heavy and bulky equipment, which could take up valuable space in your home – and can’t be left inside a van at night for risk of theft. The safe and secure premises of a storage unit can be the perfect solution, and with long opening hours throughout the week, you can start your job at whatever time suits you during the day, knowing that you can pick things up and drop them off at your own convenience. If you have an eBay or Etsy store, a unit for your stock will free your home of boxes, especially if you buy in bulk to sell on for a small profit. With simple shelving solutions you can keep stock in order, have an area for wrapping and posting, and you know your product will be kept dry and safe, whatever the weather is doing outside. Look about for the right storage provider – some provide the shelving if asked, and can include wi-fi and lighting in your unit, making it easier to do everything in one place. Anyone who has converted furniture from shabby to chic will know that while the end results look flawless and effortless, the process in-between is anything but. Bulky items take a lot of work to transform, from filling and fixing, sanding and painting. A storage unit is the perfect place to store larger items as you are transform them for sale, without getting in the way at home. Some storage providers can offer a choice of units with outside access as well – giving you ventilation for a workshop and easy access for deliveries. You may not think that this kind of profession needs much in the way of storage, but all that paperwork soon piles up – and in many cases businesses are required to keep paper records for set amounts of time, long after they need daily access to it. While keep boxes of files piled up in your home, or in your inner city office, where you pay inner city prices for every square foot. Storage units are far more cost effective, and great for archiving files that you just don’t need cluttering up the place. A unit is a great way to get started as a photographer. 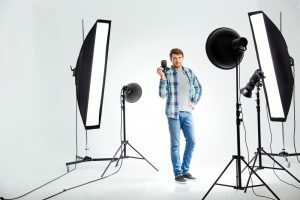 You’ve got space to hang a white background, power for lighting and all the space you need for stock and product photography or model shoots. If you are thinking of starting your own business or need a bit more space in your office, look around for the right storage provider. You’ll get indoors units, particularly helpful if you will be working from the unit in the winter, all the flexibility you need to expand as you grow, and a secure, PIN controlled place to call your own.